I put this rc lights on my e-revo it makes it look cooler. They are very bright and don't waste much battery. Thank you I'm very satisfied. I will be buying more for my other Rcs. 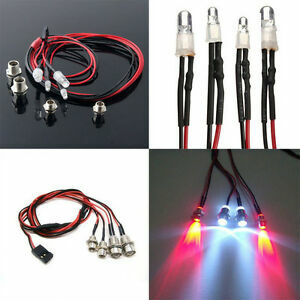 The lights work great for the price i have them on all my rc cars and cars that i sell,Will buy again.